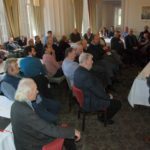 Stonefield Castle Hotel in Tarbert was the venue for a packed meeting of farmers and crofters from Argyll and the islands for the National Farmers’ Union Scotland regional annual general meeting. 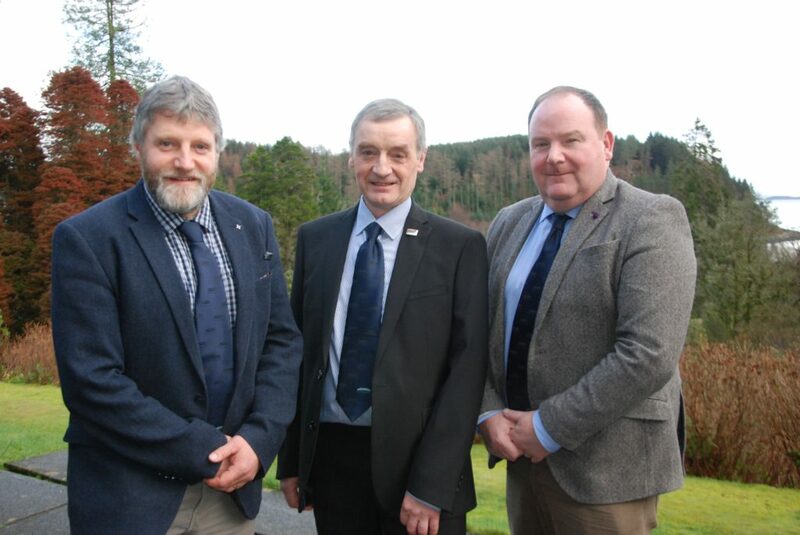 Formalities concluded, time was set aside for the three contenders for the vacant NFUS vice president position to present themselves to members at a hustings. Hoping to be voted in to deputise for NFUS president Andrew McCornick are current vice president Martin Kennedy, livestock committee chairman Charlie Adam and combinable crops committee chairman Ian Sands. After lots were drawn, it was Aberdeenshire livestock and arable farmer Charlie Adam to speak first. He stressed the need to get farming’s message across to the general public and place less emphasis on the agricultural press. He continued: ‘We are a lobby organisation and my view is we won’t win anything if we just go to war with people. We have to work with groups like environmentalists wherever we can on the things we can jointly achieve results with. ‘When we do have to challenge them on the ‘red line’ issues, with their respect we’ll have a much better chance of winning. Fundamentally, we can do things much better than they are being done now and with less damage to ourselves and costs of production. ‘It strikes me that all this stuff about meat and climate change is a huge opportunity, because if you look at meat or all other foodstuffs, you can buy it anywhere in the world, but our products are environmentally and climatically far better than other people’s. That is a unique selling point and we need to make the most of it. Up next was Ian Sands, an arable farmer from Perthshire. 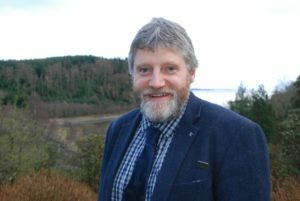 During his time with NFUS, he said, he had built up good relationships with many people across the industry and with politicians of all persuasions, built on his passion for farming. ‘We need to take pride in what we do,’ said Mr Sands, but he added the industry ‘needs to tap into the enthusiasm of young people’. ‘If we are to survive we need to encourage young people, both as farmers and farm workers. Without them there isn’t a future. 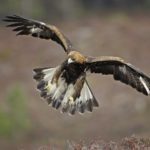 ‘Over the past few years, there has been a sector of society blaming farming for all sorts of environmental problems – very unfairly in my opinion. ‘We may not be perfect, but we deserve credit for what we have already done and continue to do to sustain and improve the environment. ‘I want the union at every opportunity to press home to politicians, civil servants and the public the good work we are doing, often at our own expense. ‘One of the challenges we face is the loss of Less Favoured Area Support Scheme (LFASS) funding. I am aware of the worry and stress this is causing many farmers and we as a union must pull out all the stops to prevent this. ‘Lastly, Brexit has the potential to affect generations to come. We have no clue as to what’s coming round the corner, but it must be seen not as an end but a beginning because, no matter what, change is coming. Last to face the audience was Aberfeldy sheep and suckler cow farmer Martin Kennedy. 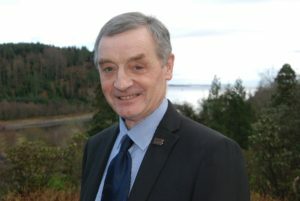 He stressed the need for farming to embrace change, in terms of delivering Scottish Government objectives and improving the lot of primary producers. ‘Climate change, water quality and biodiversity need to change from a top-down prescriptive approach that fails to recognise our local knowledge and understanding,’ he continued. ‘We need friction-free trade with Europe and no-one wants hold ups at borders where perishable goods are at risk. Exports are vitally important from a UK perspective – but 80 per cent of Scotland’s farm produce goes to the rest of the UK. We need the UK to be in as strong a position as possible. ‘The subject of labour cuts across all sectors. I don’t understand how any government cannot see that we desperately need foreign labour, from fruit picking to food processing, hauliers and tourism to name but a few. ‘The half a billion pounds that comes into Scotland in agricultural support is money well spent, but I still think it could be spent better. We now have an opportunity to devise a support policy that rewards those who are doing the work and taking the risk. 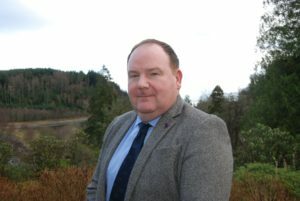 ‘Farmers and crofters have never felt so undervalued, particularly with the proposed cuts to LFASS. This is absolutely not acceptable. Scotland was caught in the crossfire because of abuse of the system in other member states. I’ll fight tooth and nail to have the LFA budget restored.